said the Iraqi Central Bank, on Thursday, agreed to launch electronic payment service via the Zain mobile phone in a move that is the first of its kind in Iraq, and with Zain pointed out that the service will enable the joint of conversion and handed the money inside Iraq and pay the bills and fees, confirmed that the service will be subject to the supervision of the Central Bank of Iraq. Zain said in a statement seen by Roudao Media Network, said that “Zain Iraq leader in the field of mobile communications and data transfer company announces” Zain Cash “service on its network and cooperation with Iraq, a portfolio company” Iraq Wallet ” specialized in the provision of electronic financial services after officially receiving a license from the Central Bank of Iraq to provide electronic payment services. “The statement added,” The (Zain Cash) service will enable registered in the service of converting the joint and handed the money inside Iraq and across Zain Iraq network, “returned service “first of its kind in Iraq.” The statement, that “the task of service and cutting-edge do use the mobile phone as Stholh to purse a stretcher,” pointing out that “service will allow subscribers to conduct financial transactions such as sending and receiving money within Iraq, or refilling lines Phone and pay the bills in the Zain network at any time and in a manner easy and quick. “The statement pointed out, that” service that was designed by a specialized team and partners local and international is part of the technological development that accompany the post-third generation in Iraq, to meet the common need and give Freedom and opportunity to facilitate daily transactions wherever they are, “noting that” the service provided a large amount of ease and preserve the money in a safe manner similar to other markets. “The statement continued,” The company has created and trained many of the teams in customer service and agents and outlets center and many selling points Service (Zain Cash new), which will reach more than 21,000 points, according to plan in order to meet its customers with the service requirements, “asserting that” the registration service will be free by going to the nearest authorized service center or call (* 210 #) and follow the instructions contained or send your (recording) a message to the number 2100. “The statement, that” service (Zain Cash) will enable subscribers to pay bills Kovatir electricity, pay traffic fines fees easily “, noting that” those authorities in the final stages of the application of these services the systems will open up new horizons. “The statement, that” the new service will also enable companies to pay and salary transfers safely and effectively in Iraq. 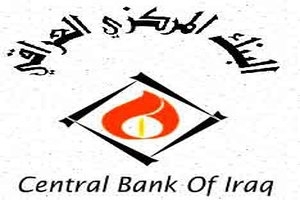 “The statement that” the service will be subject to the control of the Iraqi Central Bank, which identified operational regulatory and administrative frameworks for these services out of goal Central Bank of Iraq in the year for these laws and regulations in line with international standards, and strive to promote confidence in the economy through the creation of a safe environment healthy and competitive system available to everyone, and this was confirmed by the Central Bank of Iraq on several occasions. “The system and mobile payment is a way of different by transferring money by mobile phone or mobile wallet in general and payment methods, and operating under the financial regulation and performance from or through a mobile device rather than pay cash.